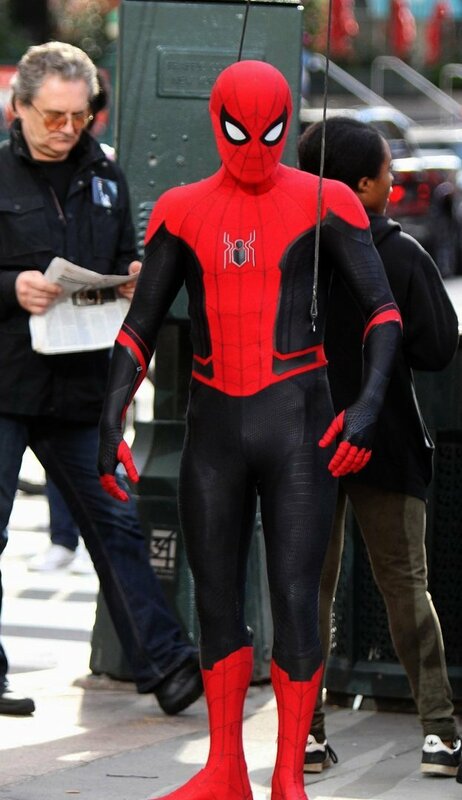 One of the coolest pieces of concept art for the Spider-Man: Homecoming suit was a striking red and black design. 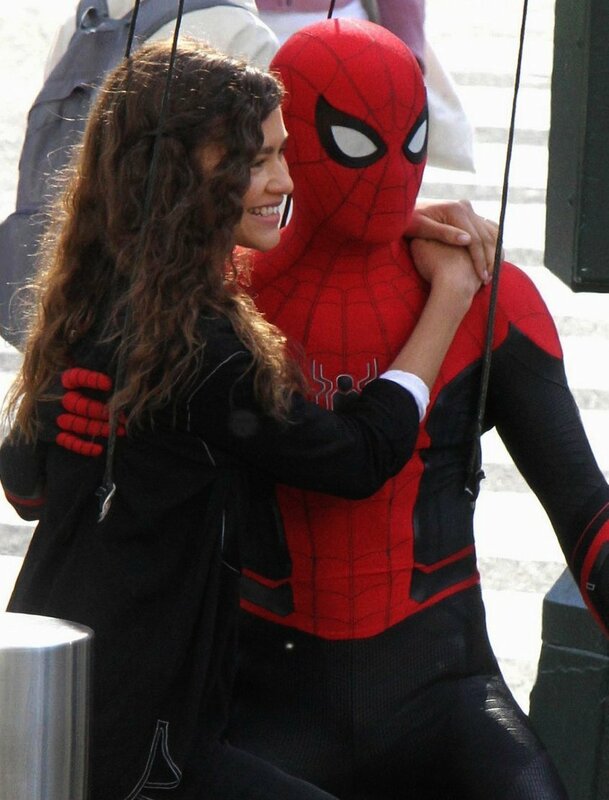 While they went for a more traditional red and blue take in the finished film, it seems like someone at Marvel Studios really liked the way it looked, as it’s now been resurrected for Spider-Man: Far From Home. This latest glimpse at it came from some on-set photos captured during the New York location shoot published by @TomHSource. 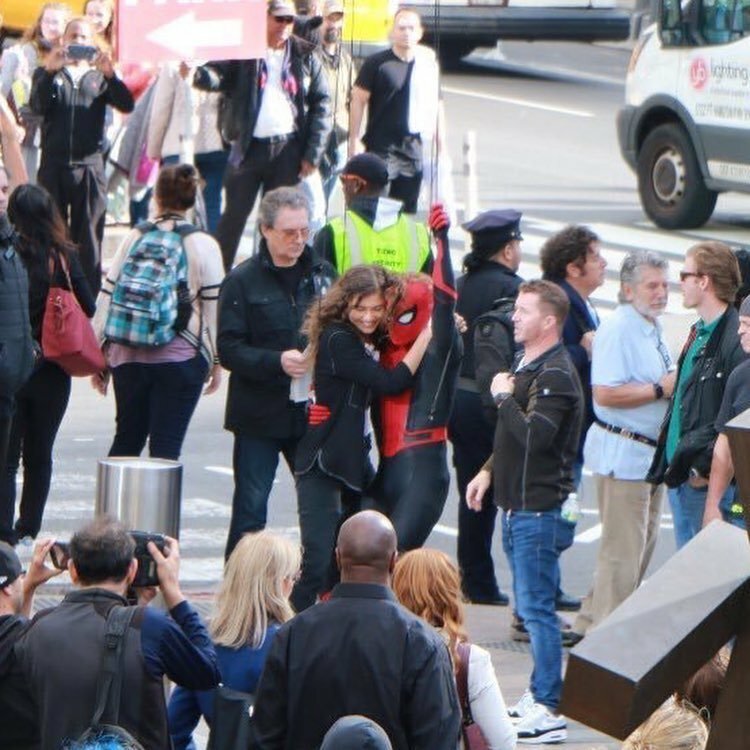 Seen in the gallery down below, they show Spidey and MJ hanging out and appear to be taken from the same scene as the pics we got earlier. 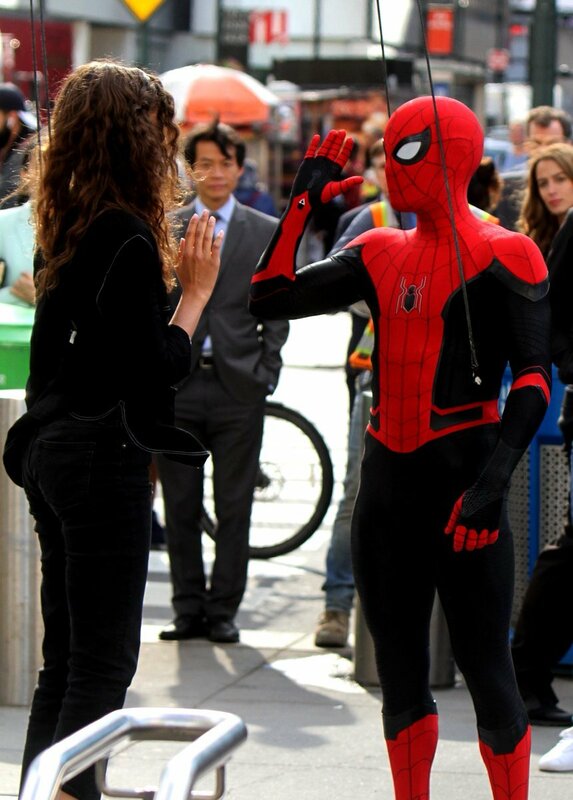 At this point, it’s looking like Far From Home might feature a surprisingly large number of Spider-Man suits, with the red and black one, the traditional red and blue and what’s been dubbed the noir suit spotted on various sets. 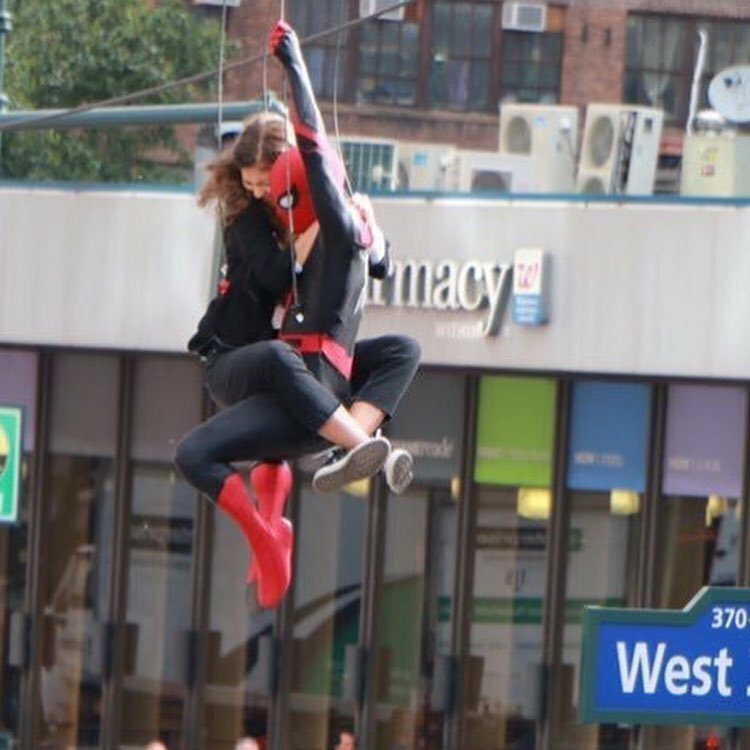 One theory on these changing costumes is that if Peter Parker’s on a European school trip, it’d look very suspicious if Spider-Man kept randomly popping up in the same cities they visited, so he’s masquerading as different heroes. 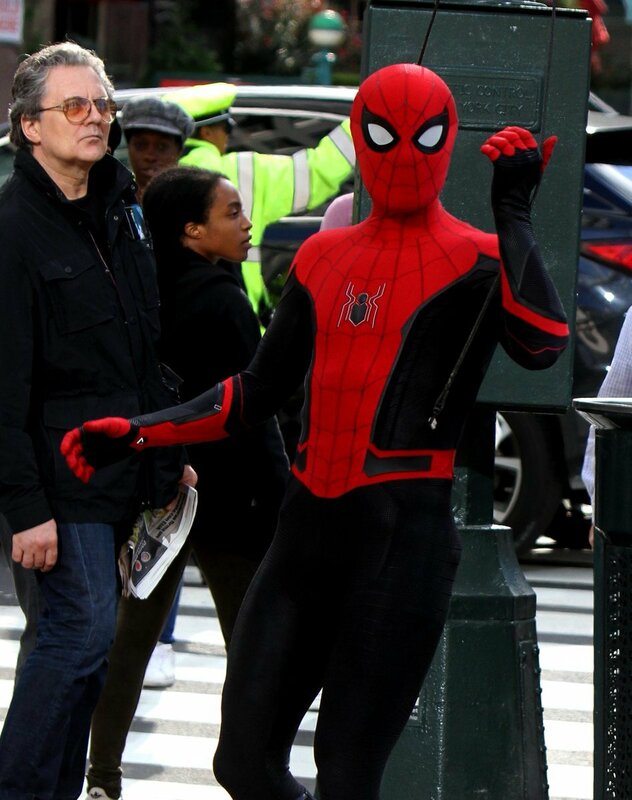 Given that red and black Spidey is just a palette shift, though, I don’t think that’s going to be the case anymore, so maybe he’s just a fan of diversifying his look a bit? Whatever the case, this new suit is absolutely incredible in my opinion. I think there’s a little more personality to the eyes and the slight variations in the pattern make it very sleek and stylish. Still, if he’s on a school trip, it makes you wonder where he’s getting these new duds. Then again, we know that Happy Hogan (and possibly Pepper Potts) are set to appear in the movie, so perhaps they supply Peter with whatever upgrades Tony Stark’s been cooking up in his spare time? 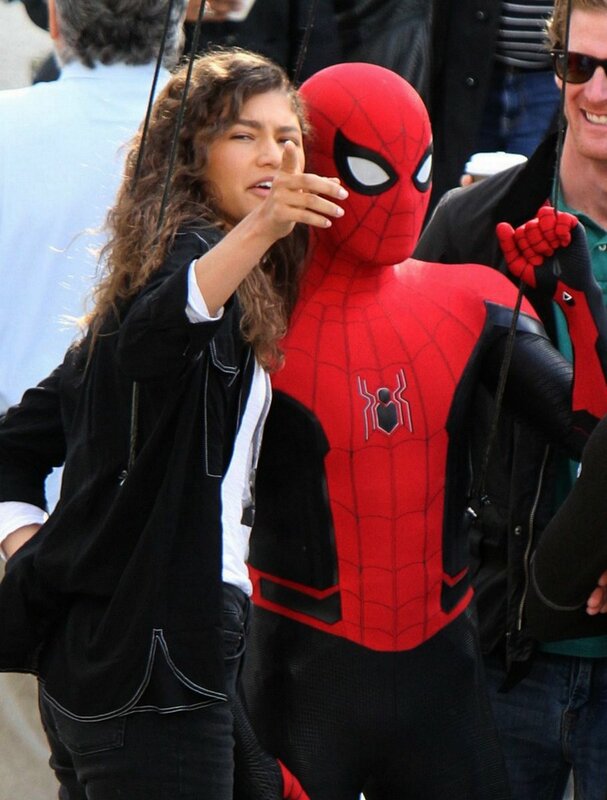 It’s going to be a while before we find out the answers, but expect to see at least some of these new suits featured in the debut trailer for Spider-Man: Far From Home. I think that’ll be attached to Captain Marvel next March, but with any luck, we may get some sneak peeks at what’s to come before then, so stay tuned.